also! i forgot to mention one of my other parts of coos bay. 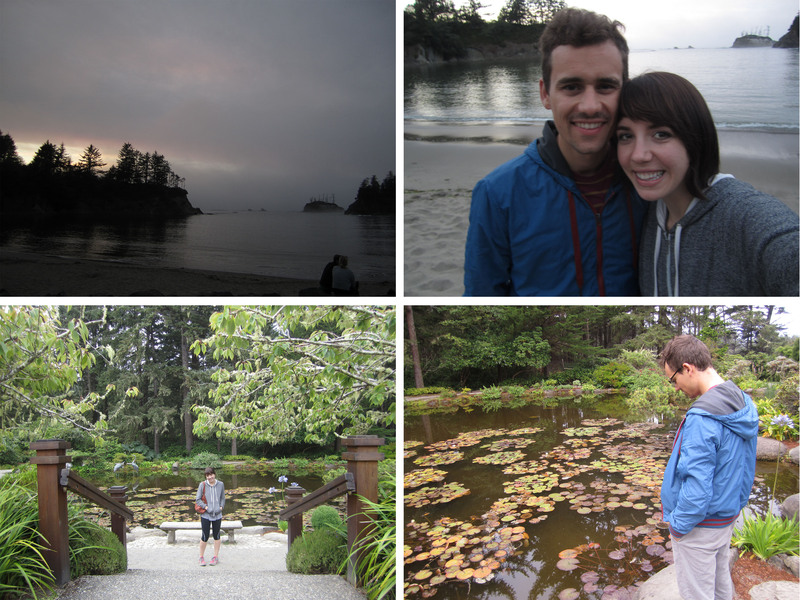 we visited the botanical gardens, which i think david anticipated to be pretty laaaaame – but it was so beautiful and mystical and magical all in one. the gardens were build in the early 1900s and stand right on the edge of the coast line, so you can soak in the flowers and hear the sounds of the ocean all in one. david and his hyper-sensitive nose got pretty into smelling all of the flowers. in the rose garden, he identified one that smelled like fruity pebbles, one that smelled like pine-sol, one that smelled like trix, etc etc etc. cool giant plants! and the beach right below. id like to have a botanical garden one day. reminded me of downton abbey. 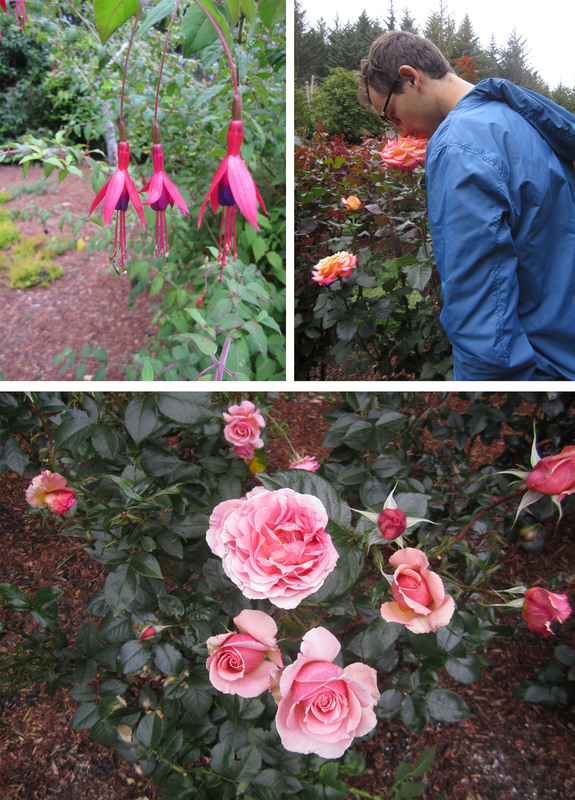 This entry was posted in getaways and tagged botanical gardens, coos bay, oregon, roadtrip. Bookmark the permalink.